Last week, the CIW’s eye-opening Harvest Without Violence Mobile Exhibit traveled from Immokalee, FL to the Keystone State for a week-long visit at Haverford College to educate students and community members about the Fair Food Program’s unique success in ending sexual violence and other human rights abuses in the fields. 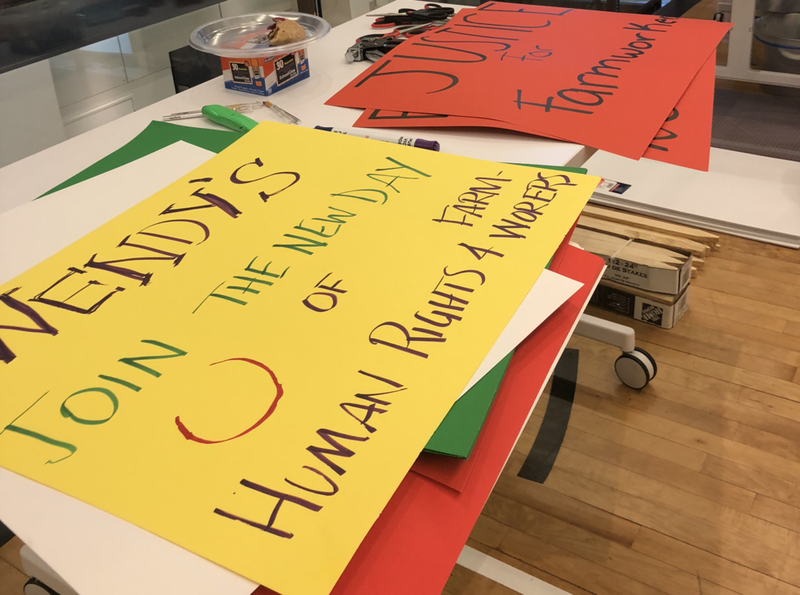 In between studying for midterms and getting out the vote last week, students at Haverford College in Pennsylvania took a pause to act in solidarity with the women and men who harvest the food we eat. The John B. Hurford ‘60 Center for the Arts and Humanities, Philadelphia Arts Creative Collective (PACC) Program, Distinguished Visitors Program and Haverford Microfinance and Impact Investing Initiative (MI3) at Haverford College invited CIW’s co-founder Lucas Benitez and Ximena Pedroza of the Student/Farmworker Alliance to debut the Harvest Without Violence Mobile Exhibit at their dining center, educating over 300 students about the alarming rate of sexual harassment and assault confronted by farmworker women in the fields and about the only proven solution in agriculture to end and prevent such abuses: the award-winning Fair Food Program. 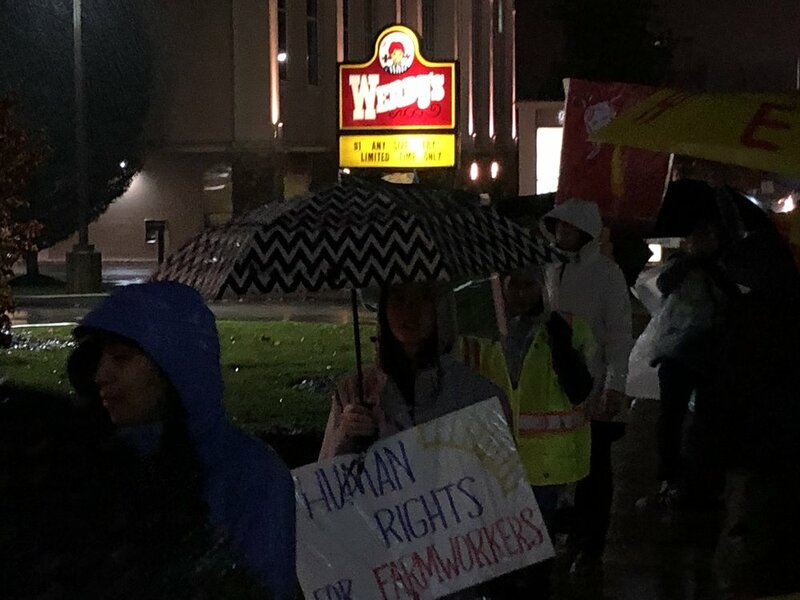 While touring the exhibit’s legal documents, farmworker testimonies and extensive research, scores of students learned about the Campaign for Fair Food and pledged to boycott Wendy’s until the fast-food chain joins the rest of the industry in protecting farmworkers’ rights. The following day was jam-packed with events, including a panel on the rising Worker-driven Social Responsibility model titled “21st Century Social Responsibility.” The panel was moderated by Noelle Damico, Senior Fellow at NESRI and included Penelope Kyritsis from the Worker Rights Consortium, and Christina Forwood, Director of the Standards Review team at B Lab which certifies B Corporations.